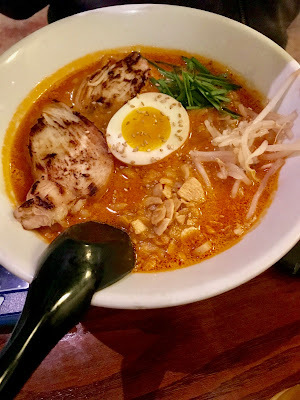 Tajima Ramen - San Diego Dining Dish! How is everyone's December going? I feel that even if you don't celebrate Christmas or any other of the major holidays this time of year, there's still a rush to finish things up before the end of the year. The past few weeks in our household have been incredibly hectic: Christmas preparation, a trip to Disneyland, seeing Christmas lights, meals to be cooked, work deadlines to be met, presents to be purchased for teachers and family, and a business trip for Steve (and some single mom time for lucky me). With all of this activity, I found myself pretty run-down and sick. Chicken soup is certainly a great cure for whatever ails you, but it is my fervent belief that ramen is magical in its healing properties. 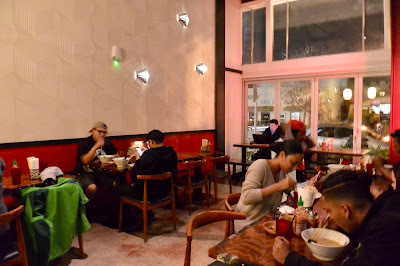 The steam from the soup, the homemade broth, the hand-pulled noodles -- all of it combines to make a reviving meal that can bring you out of the worst funk, or make your tears turn to laughter (see the movie Ramen Girl, with the late Brittany Murphy). 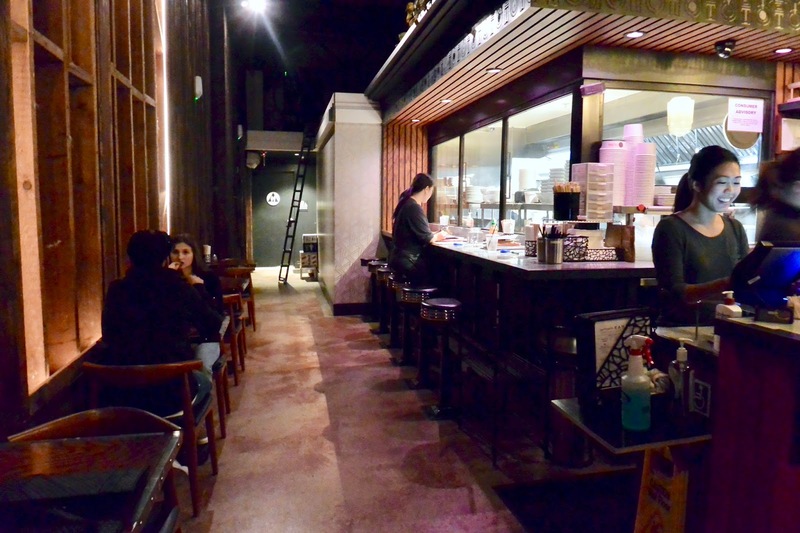 Tajima is a SoCal chain of ramen bars that serve up great, honest-to-god ramen in its true form. The setting is very industrial chic, and each store has its own flavor and unique menu. 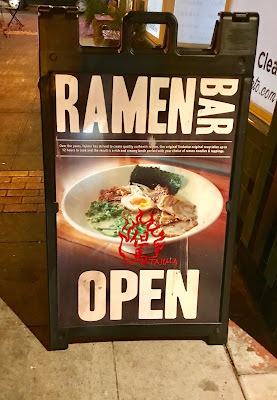 Now, I personally think that any time is a great time to tuck in to a great big bowl of ramen, but with the cold weather that we've had in San Diego lately (60 degrees! ), it's definitely time to let some ramen into your life. I visited the Adams Avenue location right in North Park/Normal Heights, but there are several locations throughout San Diego County. The decor of this store is chrome and stark, which matches the mood of the city neighborhood. well. 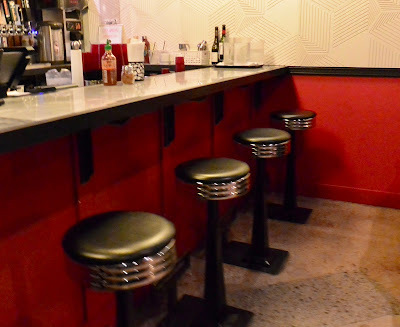 There is even a counter with stools to grab a quick bowl on the go! 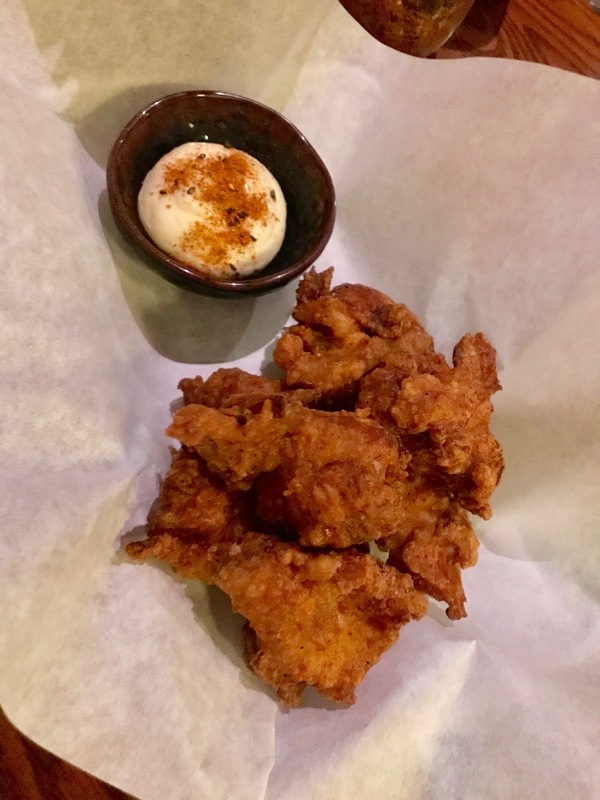 We started out with a little karaage chicken, which is basically Japanese fried chicken. It is seasoned fried chicken with a mayonnaise dipping sauce. I am not a fan of mayo, so I didn't try the sauce, but the chicken by itself was so tasty, there was no need for a dip. The chicken was tender and not greasy, with a flavorful, slightly salty breading. The breading was quite thick, rending loads of delicious crumbs. 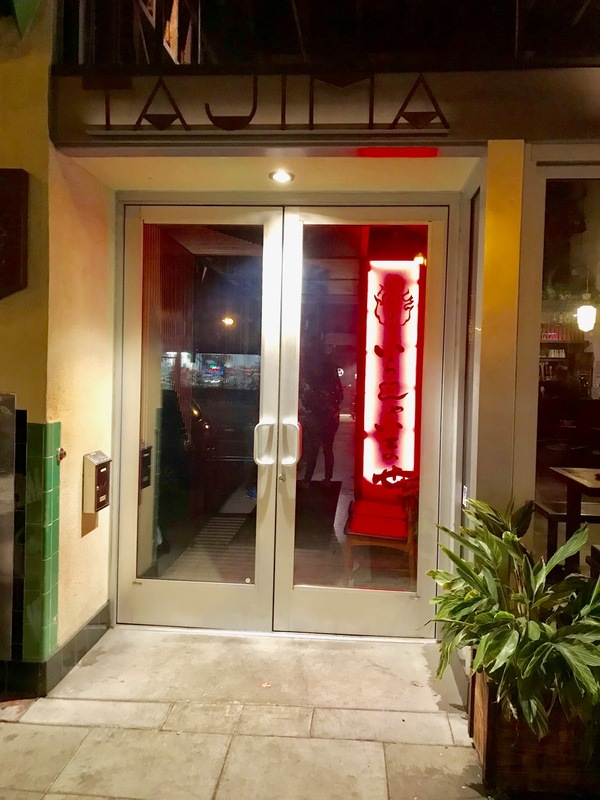 Tajima North Park has a choice of four broths for the base: traditional tonkotsu, a spicy broth, creamy chicken, and a vegan soy broth. Being one who likes to try the basics, I went with the traditional tonkotsu. Steve wanted the spicy though, and it was a fantastic choice! The spicy broth combines the tonkotsu broth with sesame paste and spicy ground pork, and fried garlic. The broth is so warming and delicious, and not too spicy for those who like just a little heat. The spicy ramen can be topped with plenty of add-ons, but it comes with pork chashu, half an egg, and bean sprouts. I kind of regret not ordering this with a sweet corn topping, because I think that the spicy and sweet combo would be amazing! 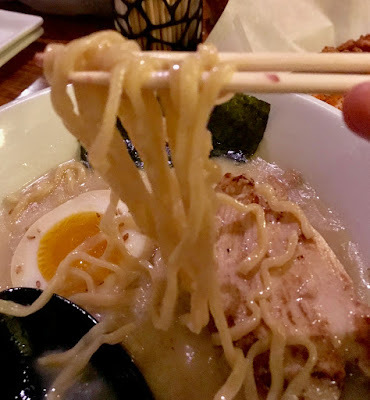 The original ramen made me realize why sometimes it's a good idea to stick with the basics. The broth had a velvety, silky texture that was a perfect umami of flavor. The fat noodles really held the broth well, with the flavor absorbing into them and making each bite heavenly. The pork chashu was very good -- lean and very meaty, not the stringy slices normally found in even the better ramen shops. As with the spicy ramen, there are plenty of ways to dress up the original flavor, but it comes with the traditional adornments -- egg, seaweed, and pork. Having a great ramen shop just down the street is very dangerous for me! I could eat it every day and never get bored. Check out the delicious offerings from any one of the Tajima shops!